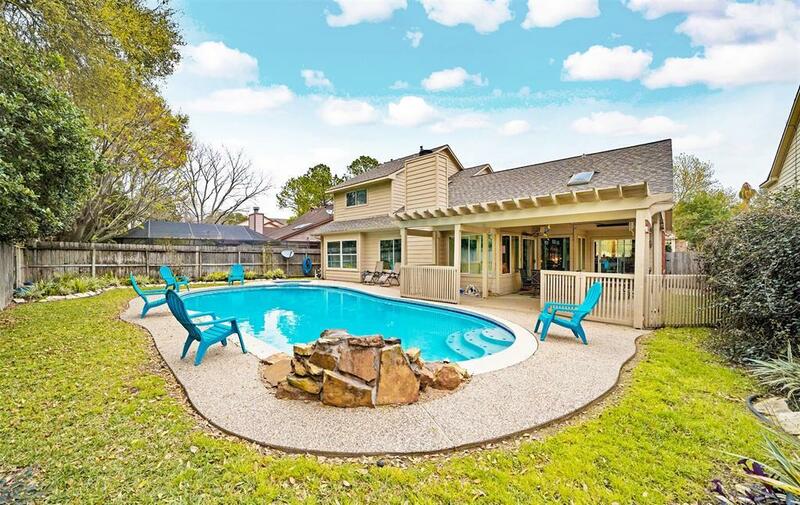 Well-maintained two story boasts a backyard oasis complete with a sparkling pool, spa, sprinkler system, and a large covered patio with a collapsible pool fence! 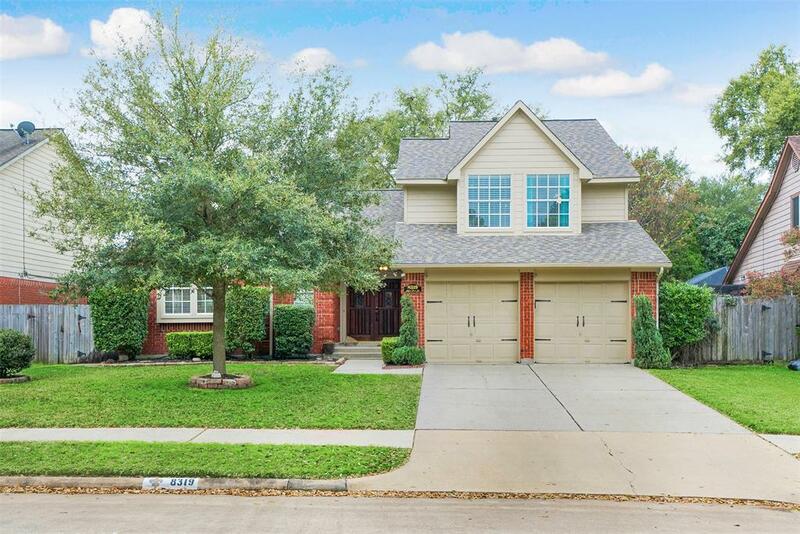 Inside you'll find tile & beautiful hardwoods throughout, lots of windows allowing plenty of natural light, high ceilings, freshly painted cabinets, and an open layout great for entertaining. The island kitchen features a new back-splash, granite counters, stainless steel appliances, and a new cook-top while the spacious living and formal dining area includes a granite wet bar, wine grotto, and cozy fireplace! Also downstairs is the master suite with French doors entering the bath with dual sinks, a frame-less shower, and whirlpool tub. 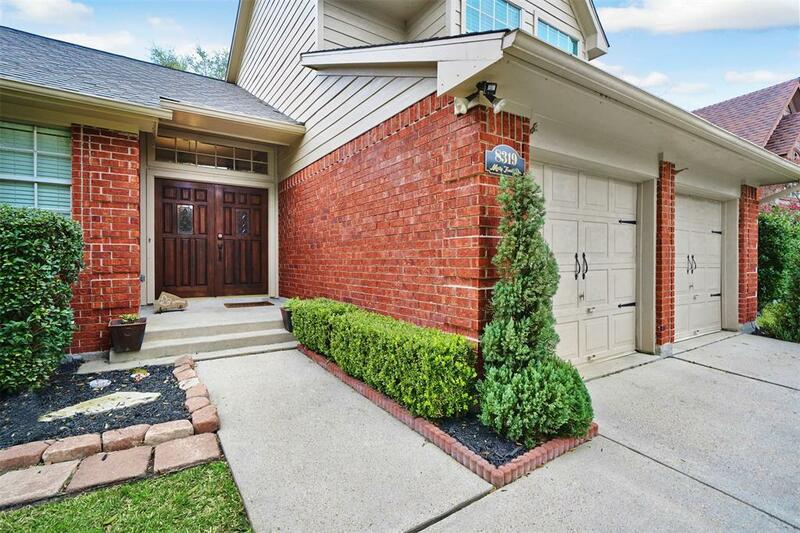 This home also features three spacious bedrooms upstairs, fantastic curb appeal, a private front porch, and a convenient location less than 10 min from local shopping, dining, Hwy 6, 290, and more! Did not flood, even on the street! 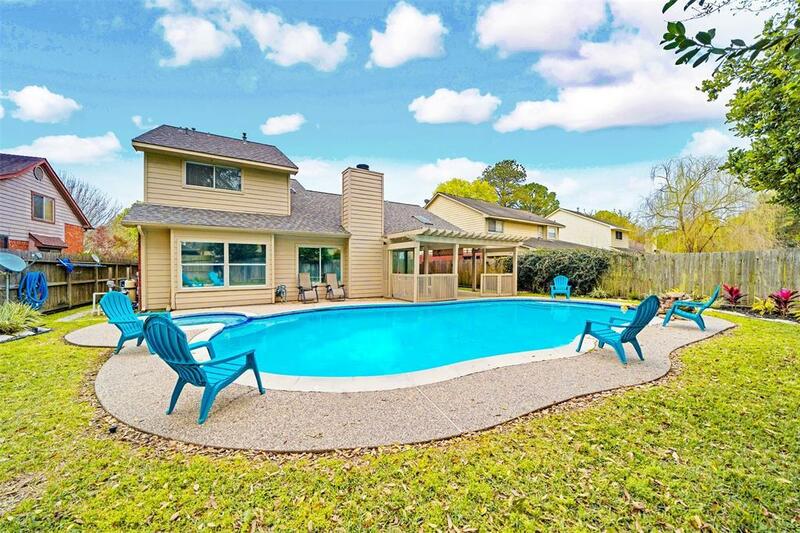 Listing courtesy of Mark Dimas Properties.